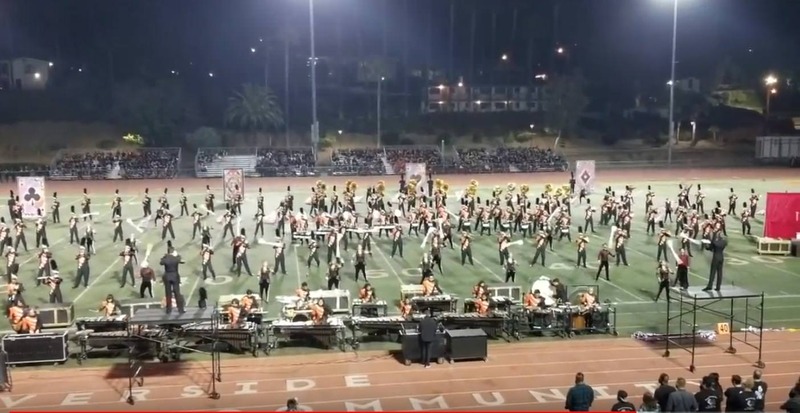 Let us reintroduce you to the RCC Marching Tigers, aka Riverside City College. This corps style band is one of the hidden gems of the band world. You'll never see them in a bowl game or featured on College Game Day, but if there's any band that can give USC a run for their money when it comes to being "Hollywood's Band" its RCC. Imagine if the Blue Devils from DCI had a college program that they could just try stuff out with after the summer tour ended. That's pretty much how we think about RCC. You have to see them to believe it. Here's their 2014 show that we really really love. Enjoy! And here is their recent 2018 show. Check them out in the 2018 Macy's Thanksgiving Day Parade in NYC.